DC Design aka Dilip Chhabria’s car customization studio is known for making even the dull looking cars spectacular. Now the company sets up its first store in Mumbai city. The first Mumbai based store is situated at the Terminal 2 at Chhatrapati Shivaji International Airport. 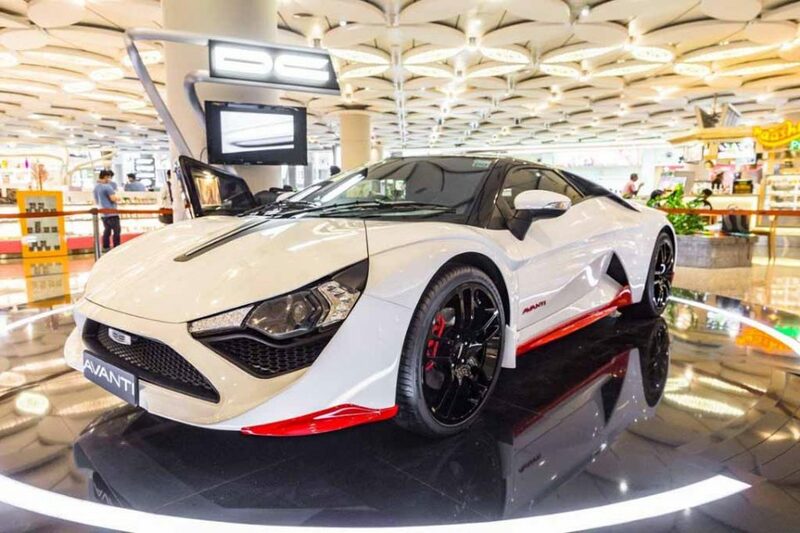 The DC Avanti is the first sports car made in India. The car will be exclusively showcased at the DC Design store at the CSIA. Also the CSIA becomes the first airport in India to get such a customized car show space. 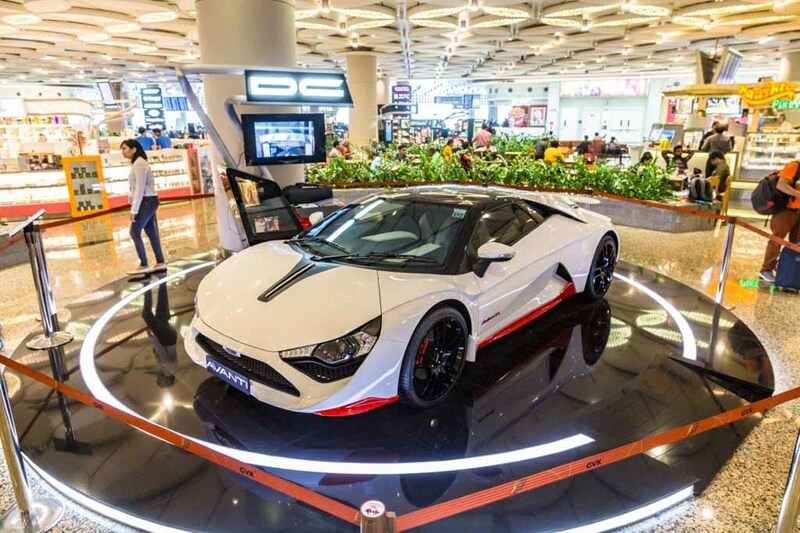 Travellers transiting through Mumbai can catch a glimpse of the opulent sports car at domestic departures of the Mumbai International airport. 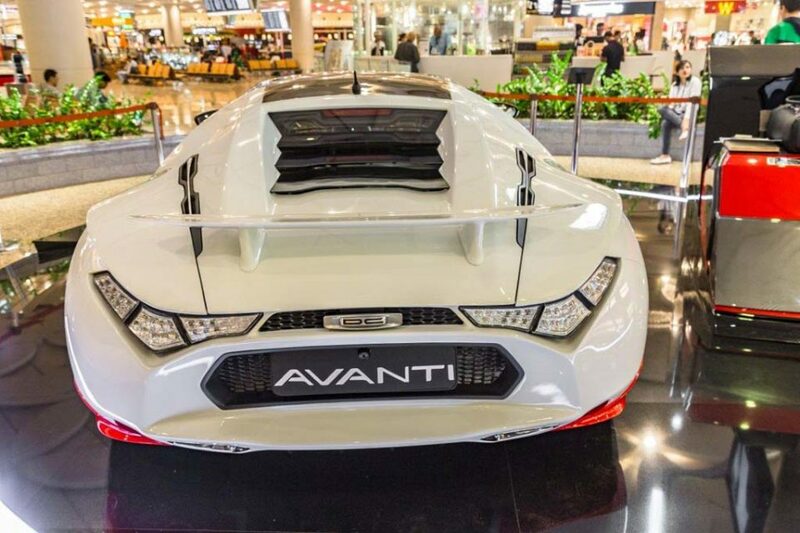 DC Avanti was first showcased as a concept at the 2012 New Delhi Auto Expo. It really caught everyone’s attention with the stunning design. Later the production spec model was displayed at 2014 New Delhi Auto Expo. The car has been designed keeping the Indian road conditions in mind. The car gets the design, which doesn’t get disturbed by the average bad road conditions in the country. Dimensionally the car measures 4,565 mm in length, 2,120 mm in width and 1,200 mm in height. The wheelbase stands at 2,700 mm. This way the car comes higher than any sportscar manufactured across the world. The DC Avanti is built on a high strength steel chassis body frame. Also it features extensive carbon fibre elements all around the body, which enhances the sporty character of the car. On the powertrain front the car comes with a Renault sourced 2.0 litre turbocharged petrol engine. It gets mated to a 6 speed manual transmission and churns out 250 bhp of peak power at 5,500 rpm and 340 Nm of peak torque between 2,750 rpm to 5,000 rpm. Top speed for the car is 200 kmph with capability to accelerate 0 – 100 kmph in 6 seconds.